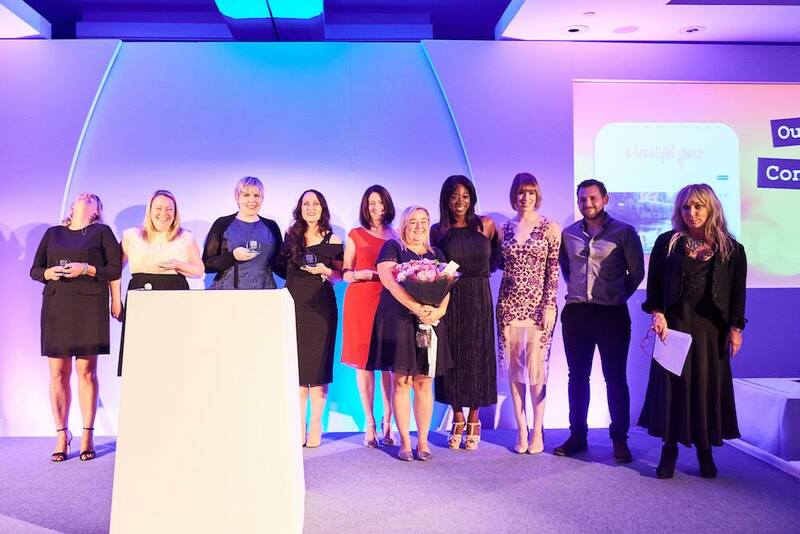 Last Friday was the MAD Blog Awards event for 2016, held at the Royal Garden Hotel in London. MAD stands for Mum and Dad bloggers, not mad crazy. There's a few crazy ones around though, to be fair. The event is a mingling session with entertainment (casino games this year, but I was too busy chatting to play!) followed by a posh sit down dinner, with a celebrity compere for the awards and dancing after. Always a fab opportunity to catch up with 'old' blogger friends (you know who you are) and meet some new ones. Plenty of chance to take photos too. 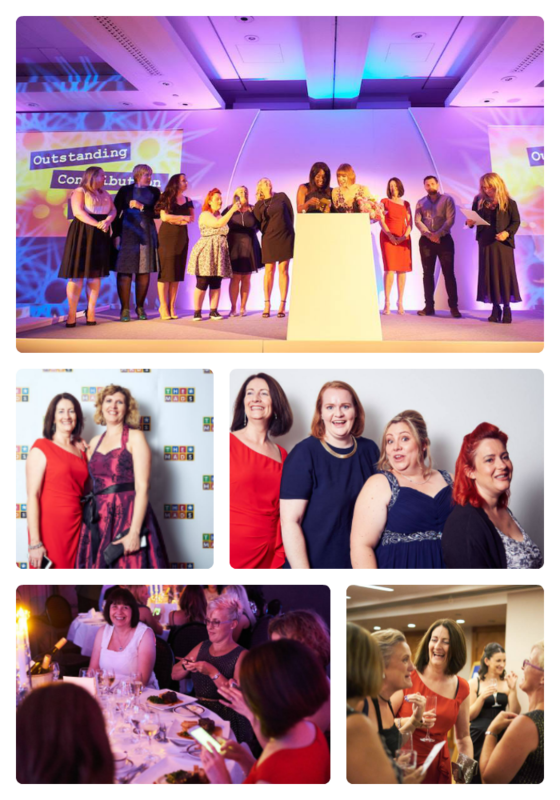 The good quality pics in this post have been 'borrowed' from the wonderful Tom Arber Photography but I couldn't resist including the slightly dodgy ones too... can you spot the (selfie) theme?! 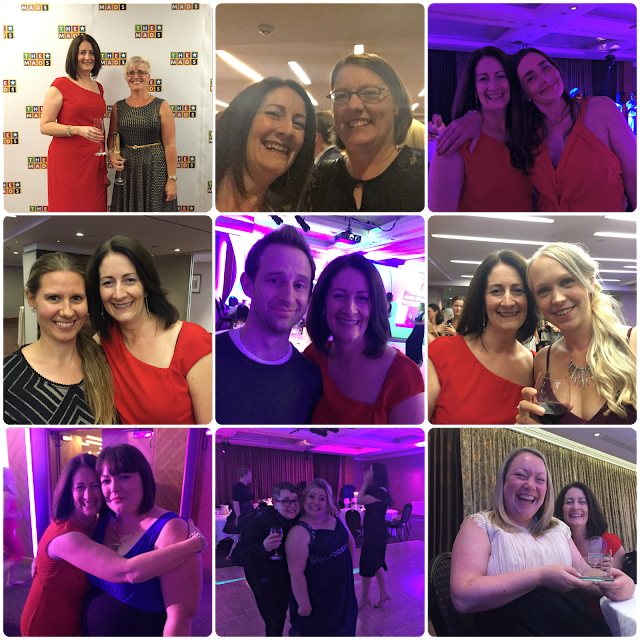 This was my fourth year of attending the MAD Blog Awards; this year I was so surprised and chuffed to have been nominated as a finalist for the first time. 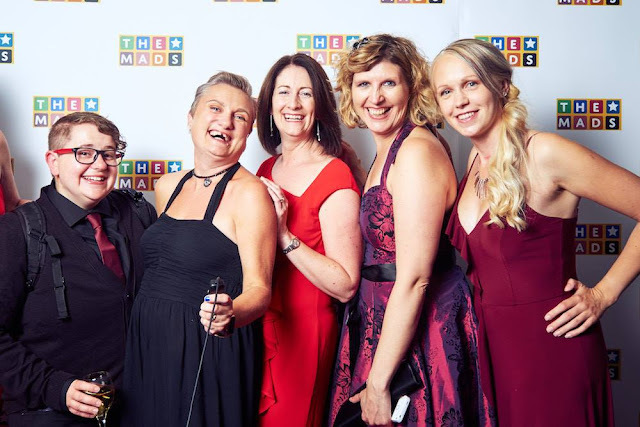 The category I was nominated in was the Outstanding Contribution category - the one I saw my amazing friend Hayley from Downs Side Up win last year. Hayley couldn't make the event this year, and there were a a few other missing faces, but it was lovely to chat with all the other bloggers there. Although I think the same has happened at the previous events, I honestly wasn't expecting all the finalists in my category to be invited onto the stage for the announcement! So my legs were rather jelly-like, but it was an honour to stand up there with them. The overall winner on the night was Becky from A Beautiful Space (not her only blog, she's managed a few!) who is an all round lovely person, and I'm delighted she won. 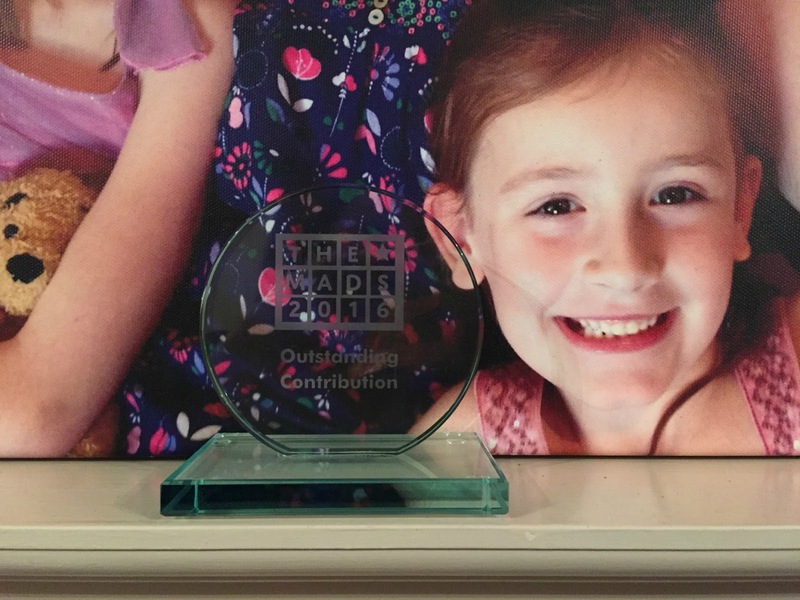 We were all given an award for our mantelpiece, and that will always remind me of all the supportive people, family, friends and even strangers who voted for me to be there. I'm not the 'biggest' blogger (in terms of readers/page views) or the best writer - I just write from the heart about how life is. This was proof that you don't have to be the biggest or the best. 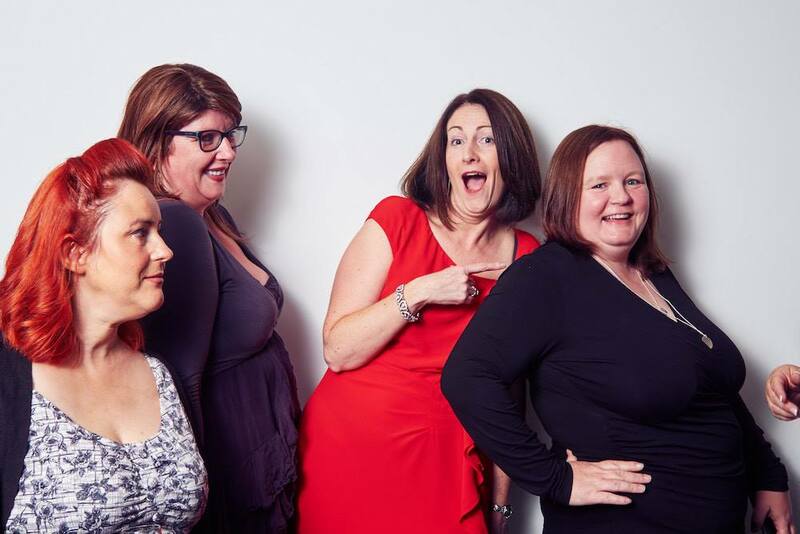 As the Blog of the Year winner, Brummy Mummy of Two pointed out in her fab speech, sometimes you can get recognition for just being honest and being yourself. Blogging is more than a hobby for me; it's work, but work which I enjoy. The people I've come across in this community, whether in person or online, are fab. Thanks so much to Sally and all the team at Tots 100 for giving us opportunities along the way and introducing us to others. Thank you so much everyone. Words seem to be failing me for once but I am so grateful to everyone who reads and shares our blog as it helps to spread understanding of autism and PDA (Pathological Demand Avoidance), which in turn will help smooth Sasha's path through life. There's an added bonus of being able to help others along the way too. Thank you all.